Dr Sidney Thomas Emerson co-founded Periphonics Corporation from Bohemia, New York in 1969. The company became famous with its Voicepac 2000 voice response computer system. 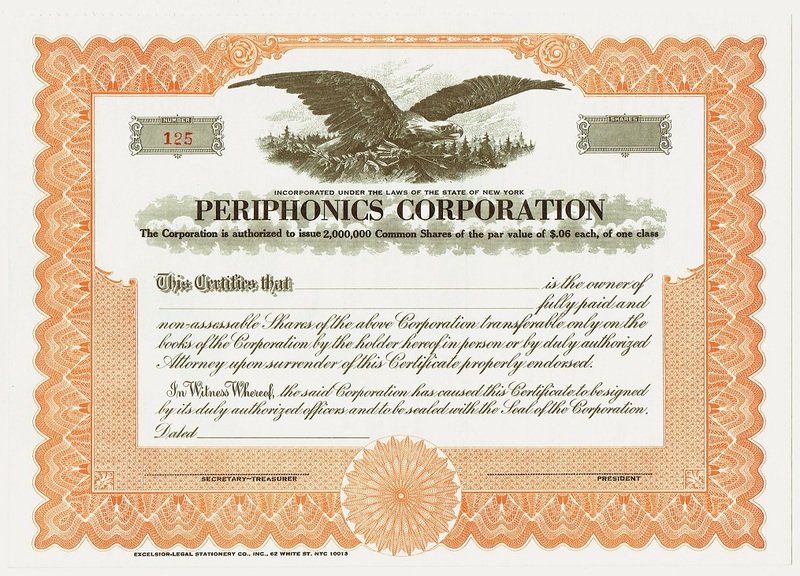 In 1971 Exxon buys a controlling interest in Periphonics. In the early 1970s Periphonics started to build front end processors. A front end processor (FEP), also known as a communications processor, is a small computer which interfaces a host computer with computer networks or peripheral devices, such as terminals, disk units, printers and tape units. A FEP off-loads tasks from the main computer such as managing peripheral devices, transmitting and receiving messages, and error detection and correction. 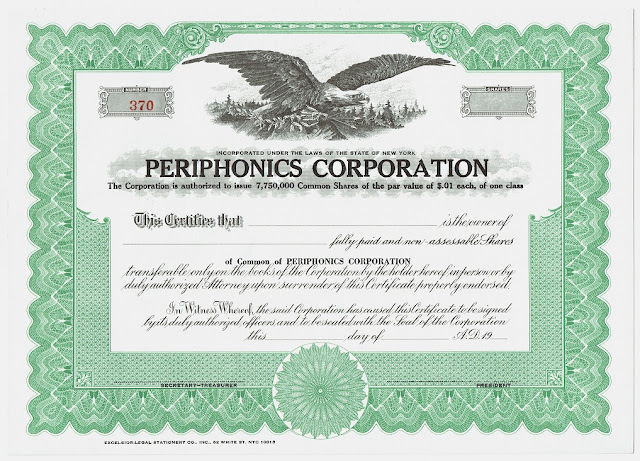 In 1977 Periphonics acquires American EFTS, a company that offered a line of microprocessor based POS terminal systems for electronics funds. Exxon purchases the remaining stock of Periphonics in 1980. The company was dissolved in 1983 and reincorporated the next year. In 1999 Periphonics becomes part of Nortel Networks Corp.
1970 Periphonics announces the Voicepac 2000, a voice response system that uses Touch-Tone telephone or acoustically coupled terminals as the computer input/output device. Voicepac 2000 is capable of storing words on a high-speed magnetic disk that allows the user to program up to 2000 words into the system and change the vocabulary at any time. 1973 Introduces the T-Comm 7 front end processor. Extra software can be installed for supporting a variety of terminal devices, including point of sale terminals and printers. Its software is part of the Periphonics front end operating system, Peri-Comm, which also supports the company's audio response systems. 1980 Periphonics offers the T-Comm 80, an intelligent front end processor or stand-alone transaction processing system for voice response or data communication. 1995 Periphonics' VPS/sp 9500 voice processing system handles text-to-speech conversion and is build around a Sun Microsystems SPARCstation with software from Berkeley Speech Technologies. 1999 Launches the Open Signal Computing & Analysis Resources (OSCAR) platform, a standard and scalable software/hardware environment for voice processing algorithms. 1999 Nortel Networks Corp. acquires Periphonics and integrates the latter's Interactive Voice Response product line into Nortel's call-center offerings. The Nortel Speech Server (formerly known as Periphonics Speech Processing Platform) is a speech processing system used for vocabulary speech recognition, natural language understanding, text-to-speech, and speaker verification and is based on the Periphonics OSCAR platform. A serial number is just one of the visual features that tell us whether a bond or stock certificate has been issued. 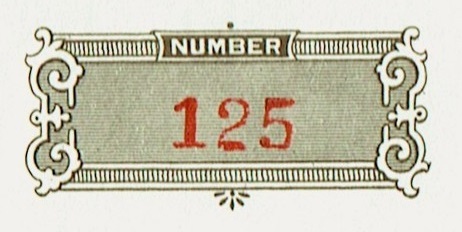 The number allows the issuer to identify its securities when these are sold, redeemed, stolen, lost or destroyed.